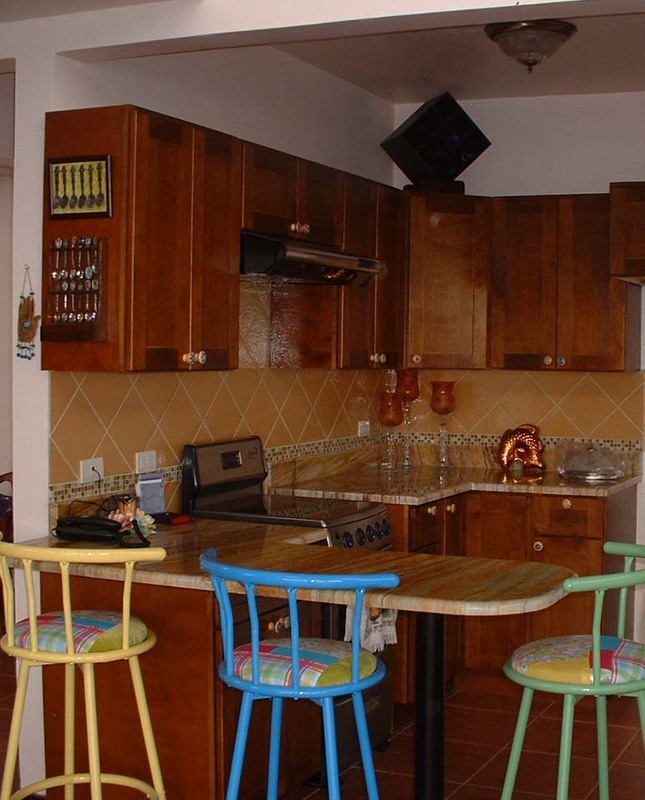 My youngest daughter just returned from Mexico where she has been doing her culinary practice at a wonderful colonial restaurant for the past four months. 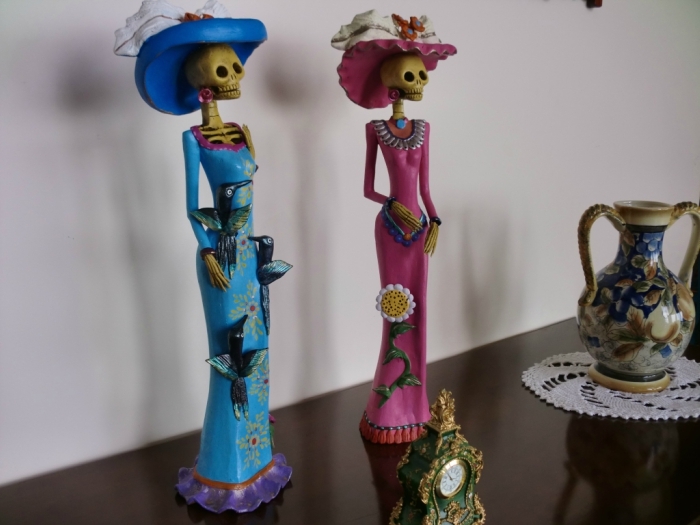 Among the things she brought me upon her return were these cute little skeleton dolls fashionably dressed in fancy attire and plumed hats. 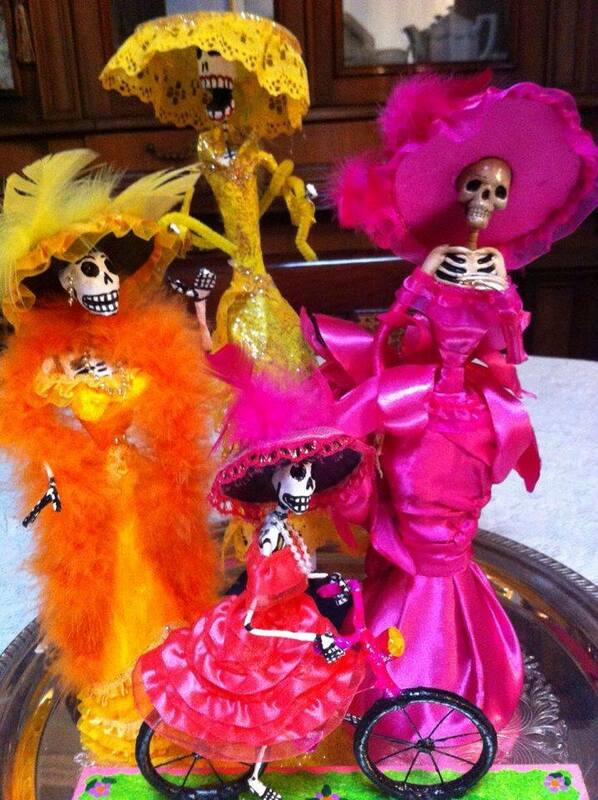 They are known as Catrinas and are an important part of Mexican culture. 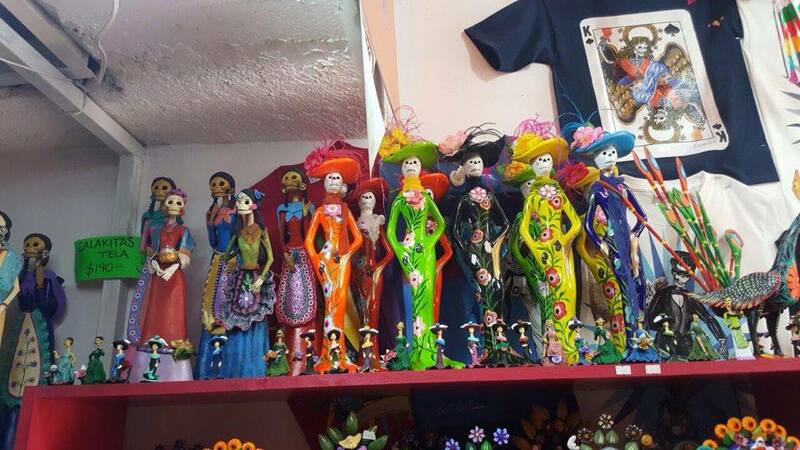 I had seen these dolls before at souvenir shops and in magazines and had always thought that Catrinas (or Kalakas as they are sometimes called) were associated with ancient Mexican Day of the Dead traditions but I was wrong. 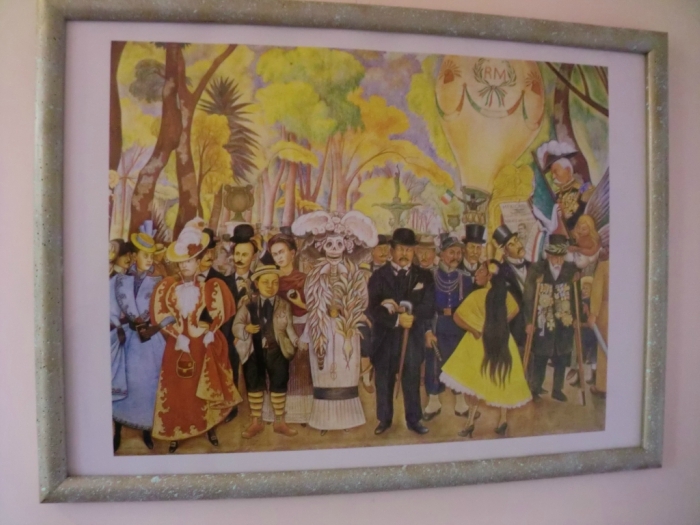 I was surprised to learn that they have a very interesting and more modern history which is linked surprisingly to Frida Khalo and her husband, artist Diego Rivera. 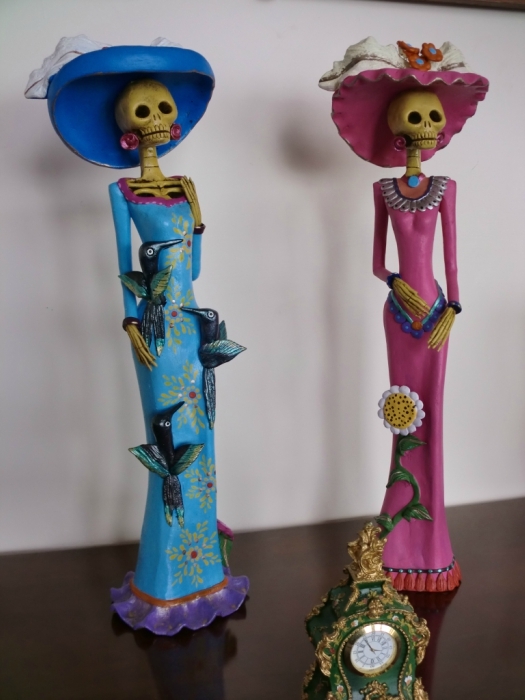 Catrina started out as a political cartoon created by Mexican cartoonist Jose Guadalupe Posada during the early 1900’s for one of his political pamphlets. 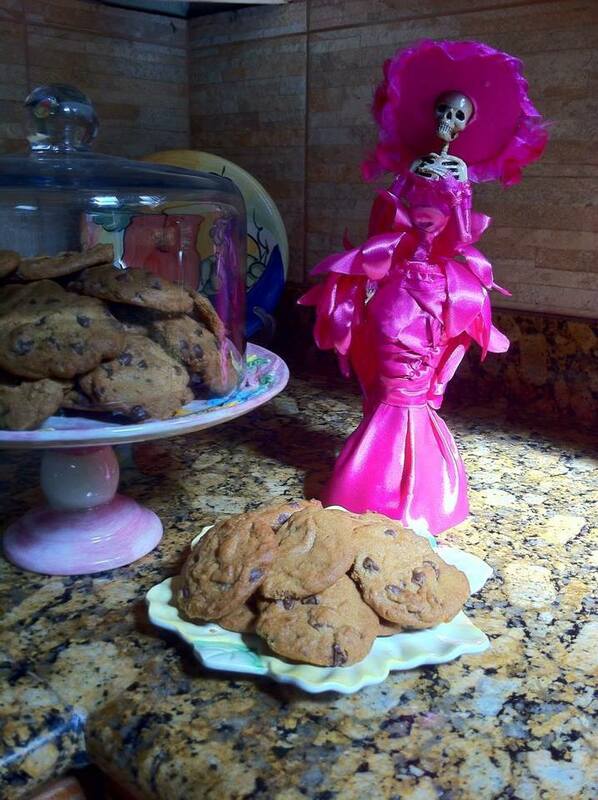 Originally dubbed Calavera Garbancera (roughly translated: the chick-pea selling skeleton or the chick-pea vendor) Posada’s cartoon was meant to satirize the poor peasant class of Mexicans who put on airs of rich European dandies and adopted the dress and mannerisms of the European upper class, thus rejecting their own native origins and heritage. 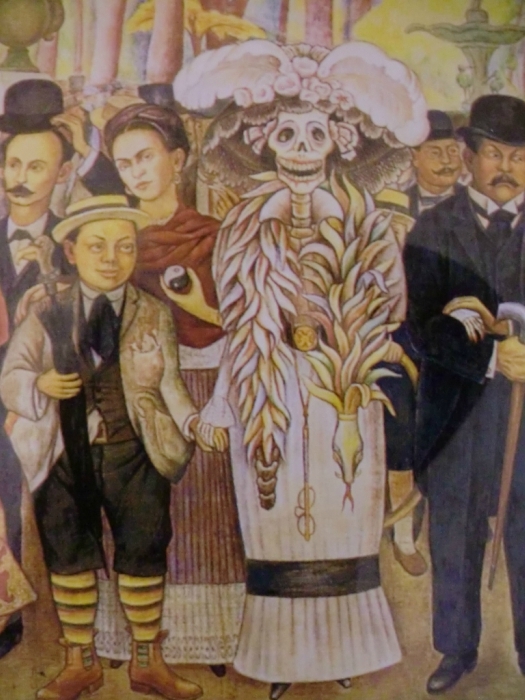 Posada died quietly without the fame or recognition that he deserved and it wasn’t until many years later that his fancy skeleton lady became a beloved symbol of Mexican culture when famed artist Diego Rivera painted his iconic mural entitled Dream of a Sunday Afternoon in Alameda Park. 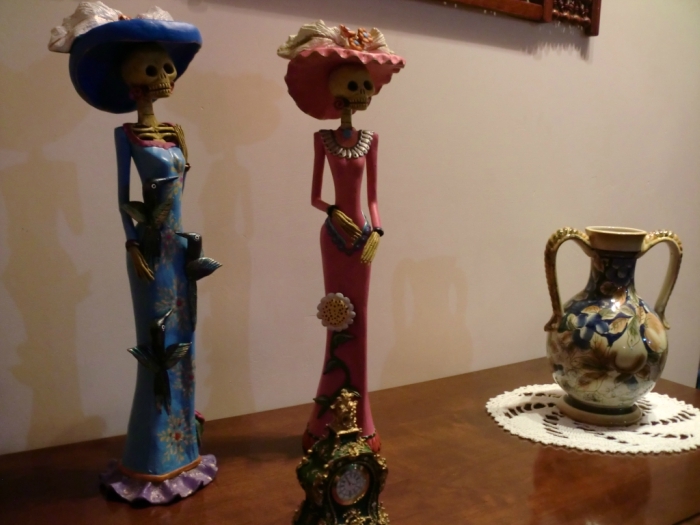 Catrina is the central character in his mural and she is surrounded by influential figures of Mexican history. She is shown wearing a quetzal feather boa around her neck and a fancy plumed hat on her head. Rivera painted himself as a small child standing next to her and holding her hand. Behind him is his wife Frida Khalo who has one hand resting on his shoulder and in the other she is holding a ying/yang symbol. 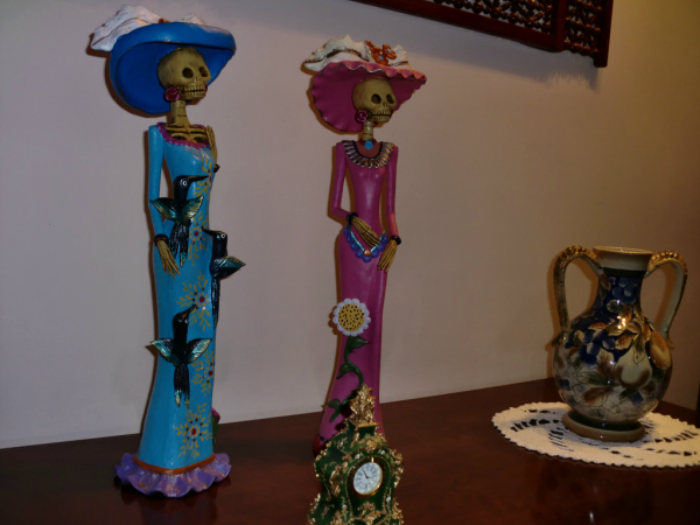 It was Diego Rivera himself who coined the term Calavera Catrina which means the the dapper skeleton or the dandy skeleton. 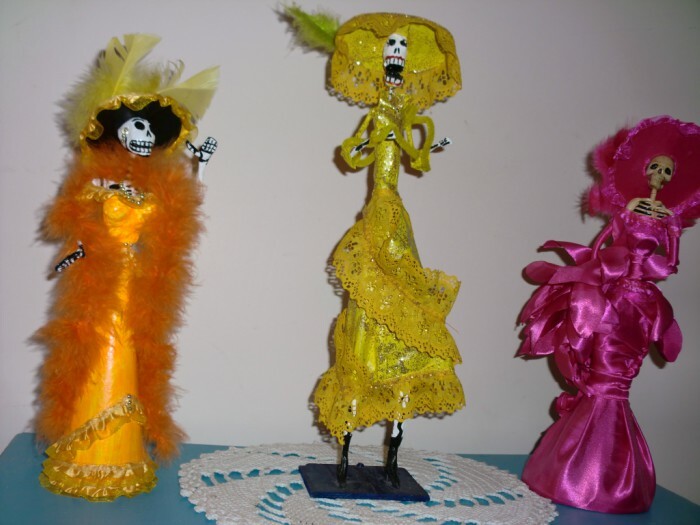 In Mexico and in some Central American countries the word catrin means a dandy or someone who is dressed to the teeth in the height of fashion. 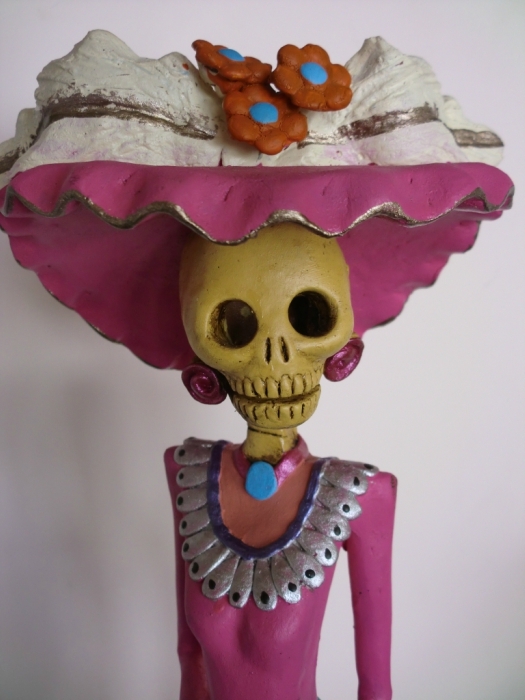 Catrina is the feminine form of the word. 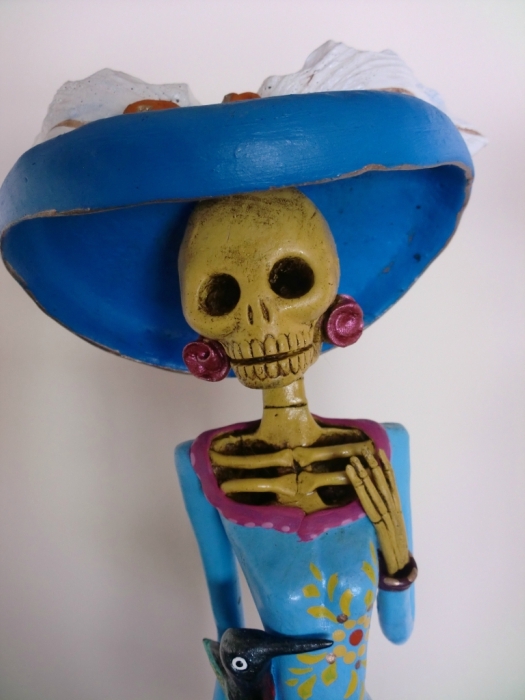 I must add that Catrina is meant to be a colorful, happy and fun folkloric figure and is not in any way related to the darker and more sinister cult figure of Santa Muerte. 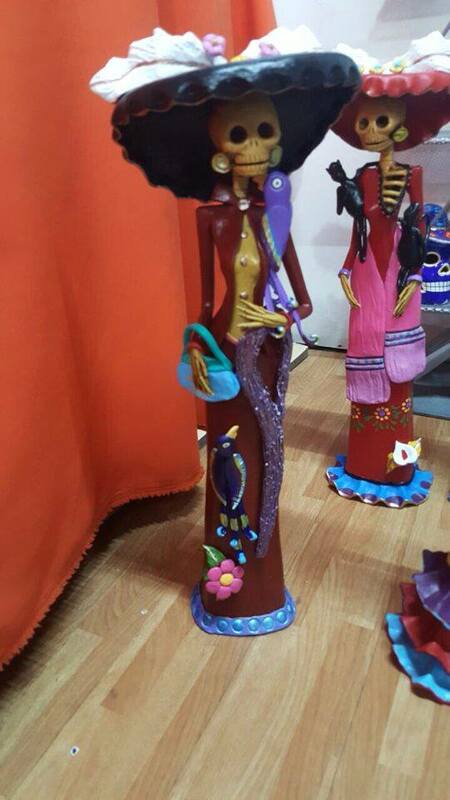 In Mexico they make Catrinas out of many different materials, the favorite being paper mache which is then painted brightly. 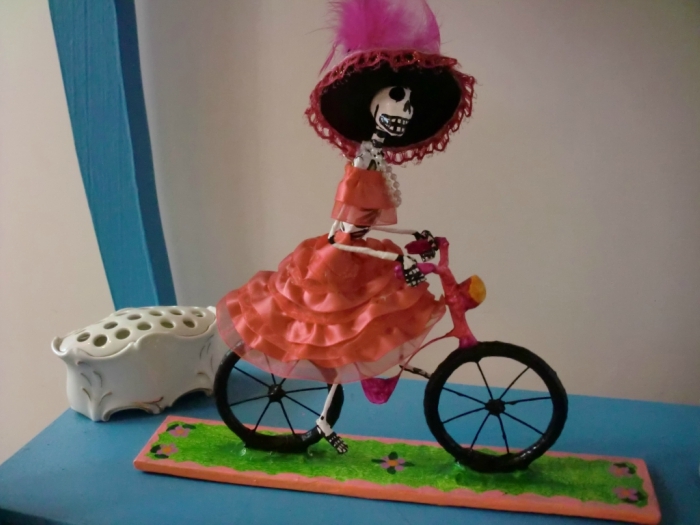 Here’s a paper mache Catrina riding a bike. 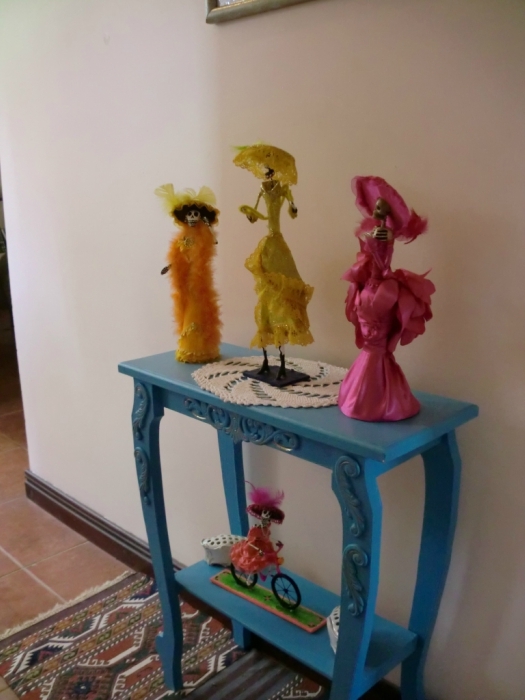 Sometimes their clothes are made out of fabric and lace and bits of feathers. 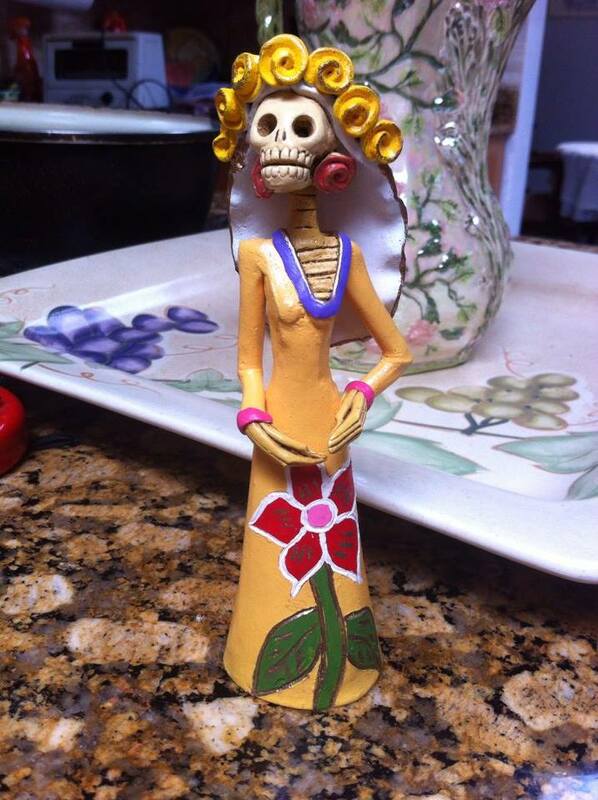 Other Catrinas are made of clay. 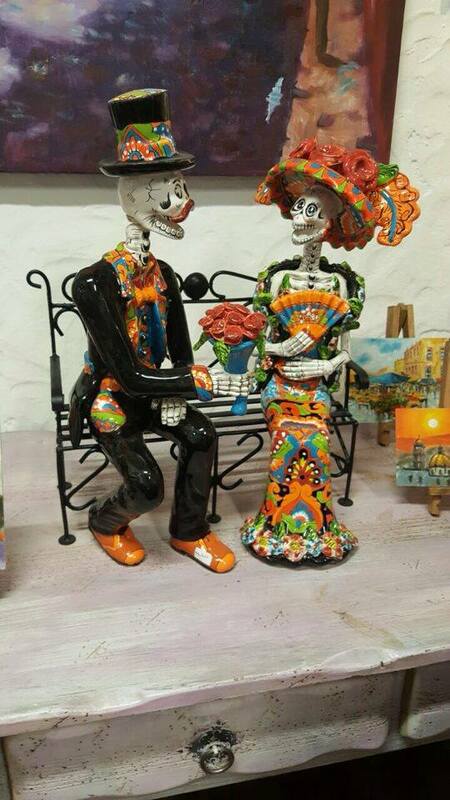 There are even some Talavera ones like this catrin and catrina sitting on a park bench, but Talavera catrinas are very expensive. 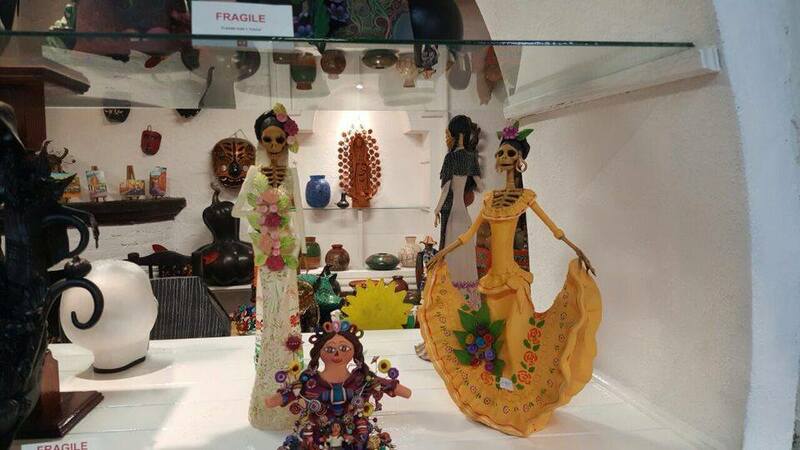 Maybe on her next trip to Mexico she can get me this adorable couple that was displayed in a store window. 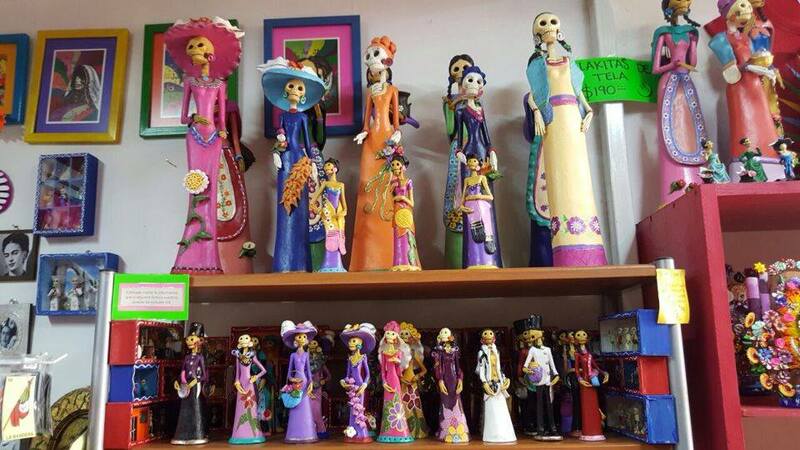 There was a huge array of them at the store where my daughter purchased a few and it was difficult to choose. 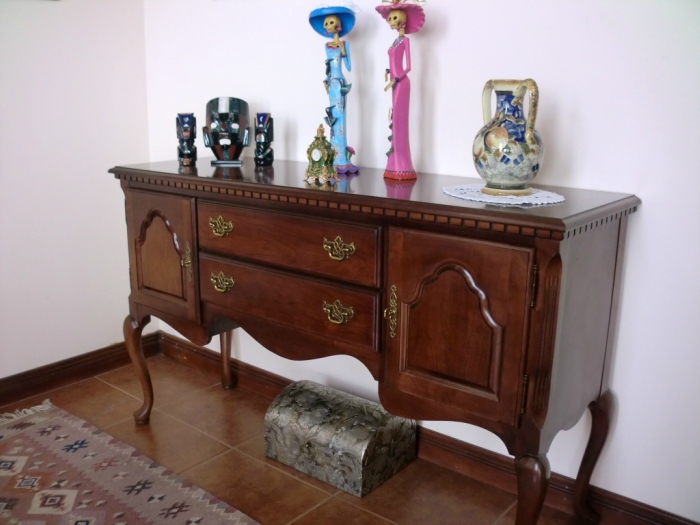 This one looks like a turn of the century school teacher to me These are my two favorite of all the ones she bought me. 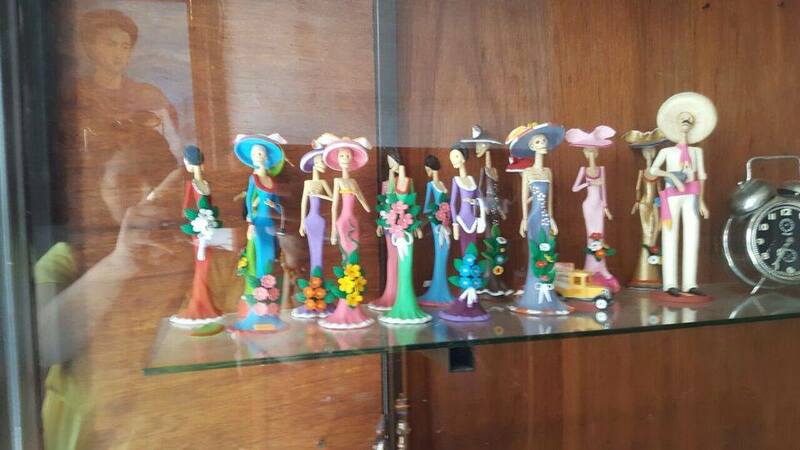 They’re very elegant ladies made of clay. The black birds are just decorative but I thought they were cool because they look kind of gothic. 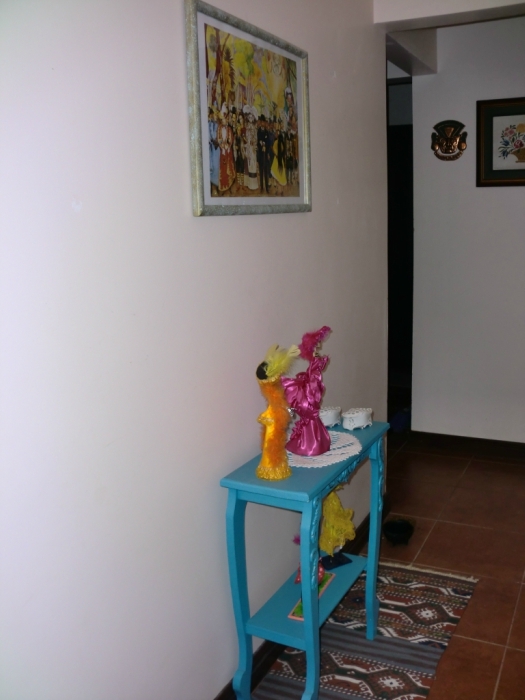 They had other catrinas where the birds were brightly painted like Amazon parrots. I sense the start of a new collection.